As you see the development programme is not yet complete but it is envisaged that steering will be by selective use of the individual disc brakes, probably under the direct control of the brain by monitoring of thought processes. Of course we have not yet fitted the necessary crumple zone and pedestrian protection equipment. 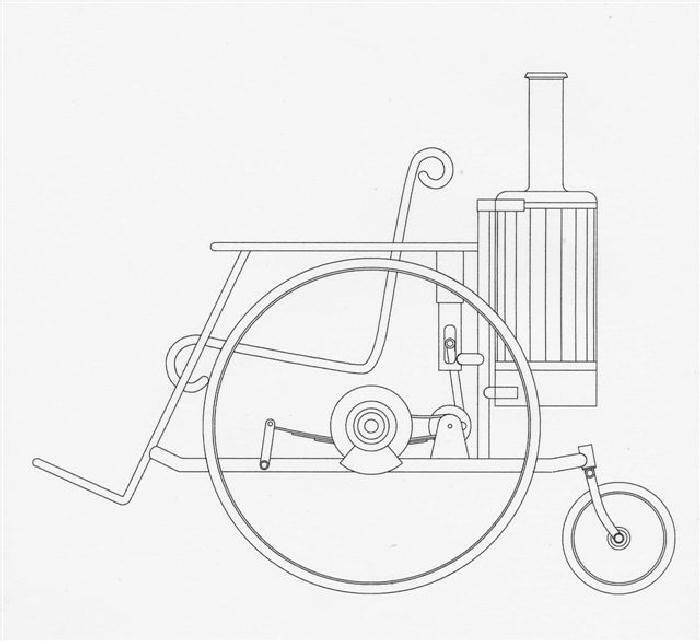 Here we anticipate using the readily available steam energy source to operate an "active" equivalent of the old fashioned cow catcher to eject pedestrians from the path of the vehicle - this will be particularly important as it foreseen that the wheelchair will be EU homologated for use on pavements. Further information will shortly be made available by our corporate publicity department.